One Ocean Expeditions is expanding its fleet with a ship whose name resonates with Arctic exploration history. On the cusp of One Ocean Expeditions’ 10th anniversary, the adventure cruise operator announced that the new ship, the RCGS Resolute, is purpose-built to withstand the icy extremes of polar expeditions. 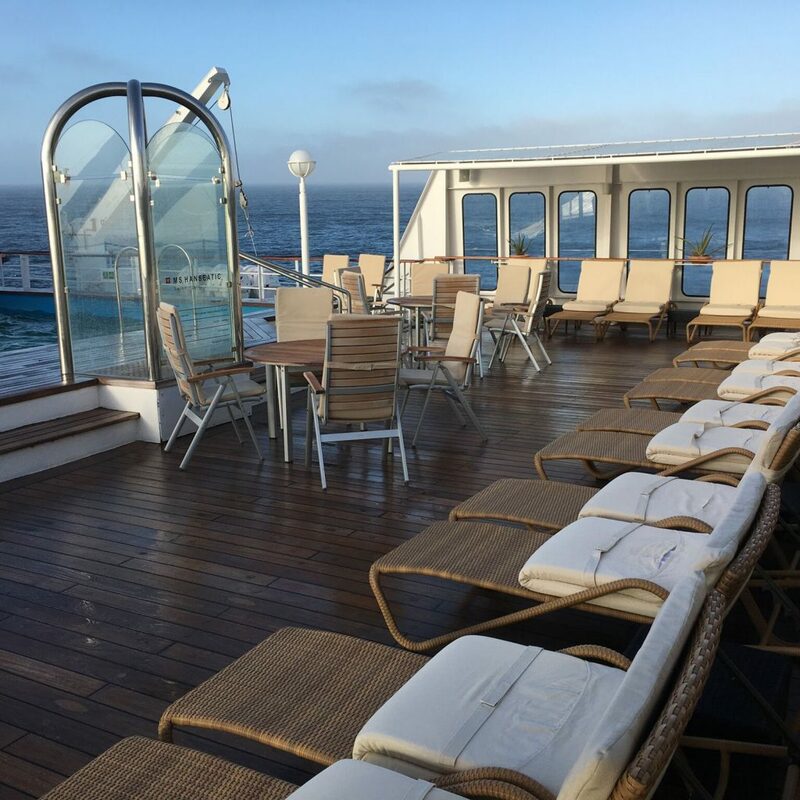 The ship — the first to carry The Royal Canadian Geographical Ship prefix, RCGS — will join the Akademik Ioffe and Akademik Sergey Vavilov under the One Ocean Expeditions banner, and features a deck pool, sumptuous cabin suites and multiple lounges with 180-degree views. One Ocean Expeditions is the only cruise operator to start and end voyages in Cape Breton, and the new ship promises more jobs and economic growth both in Sydney and in the Canadian Arctic. 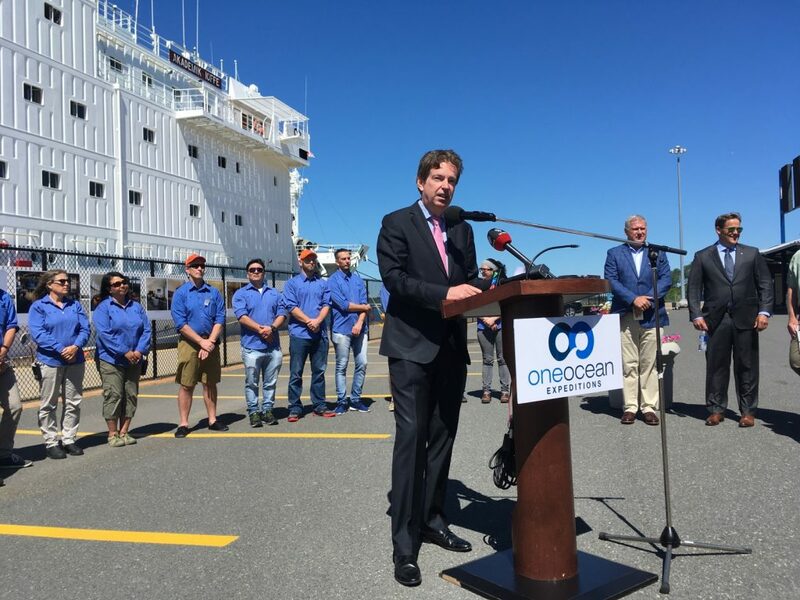 The announcement of the new ship comes on the heels of more good news for the small Nova Scotia town: Cape Breton-born Andrew Prossin, founder and CEO of One Ocean Expeditions, recently stated that his company will be using the new Sydney pier to refuel and provision its ships before embarking on voyages North. “With the building of a second berth in Sydney Harbour, I see no reason why Sydney can’t be Canada’s Arctic gateway,” Prossin said. Historically, explorers seeking the North Pole often left from Sydney. Robert E. Peary, who claimed to have reached the pole in 1909, launched five expeditions from Sydney’s wharves, and received a hero’s welcome on each return. The RCGS Resolute will first set sail from Sydney in November 2018. Finland-built, the ship offers modern stabilization and unsurpassed ice classification compliant with the polar code. Its name is imbued with northern heritage. The ship’s namesake, the HMS Resolute, was specially fitted for Arctic service and in the 1850s helped search for the lost Franklin expedition. While it did not succeed in locating Franklin or his men, sledging parties from Resolute contributed to the further exploration of the high Arctic islands. Two decades later, when HMS Resolute had served its life as a ship, the Queen ordered desks to be made from her sturdy timbers, one of which has been used in the Oval Office by most U.S. presidents since John F. Kennedy, and remains there to this day. Resolute is also the name of one of Canada’s two northernmost towns, located on Cornwallis Island. It is a vital supply centre and is the base for much research in the High Arctic. The RCGS Resolute was specially designed for both comfort and safe arctic exploration. To help with manoeuverability in windy conditions, the ship has both bow and stern thrusters and twin reversible propellers. As one of the most stable vessels in the Arctic (due to an internal trimming system controlled by a series of gyroscopic sensors), it was built to conduct sensitive hydro-acoustic scientific research. Here are some by-the-numbers facts about the ship.